Great story!! I love to hear how God is working in people's lives like that. That is wonderful! God's faithfulness is amazing!! Oh I love this story! Such a happy ending. And how cool to see the timeline…sooo like God. Beautiful, touching story, Emily! Thanks for sharing. I know of someone who needs to hear this. I will be praying for them! Ah, I love this. And that third picture rocks…sweet little guy looks like he's Star Treking it. Or Nano Nanoing it (before that was a month about novel writing…back in my day when Robin Williams said that). Love this story (and I LOVE THE NAME PAISLEY!). I have seen this happen for other women who never thought they'd have children. So thankful God steps in and fills those barren places many times! I love this story! It's so easy to fall into the trap of thinking we're being punished, that if we're "better" or "just good enough" we'll get what we want. But that isn't how God works–we're good enough in our imperfections since Christ died for us! Thanks for sharing this! We were on the waiting list to adopt when I got pregnant with our twin girls. They are our double blessings. God will bring life when it is time. And I love the truth that God wasn't punishing you, He was bringing you to a deeper place of faith and truth. I don't talk about this very much, but my husband and I have struggled with secondary infertility. We had our first son with no problems. But for whatever reason, we weren't able to get pregnant again. Which is just one of MANY reasons why we have decided to move forward with adoption. I don't know if I'll ever get pregnant again. But I do know that God has another child out there for us. And we are incredibly excited. I will be praying with you as you all are believing in faith for that sweet baby! He has it all in His hands! Another friend of mine struggled with infertility. I remember that last April (2011), at an Easter service, we were supposed to write something and tack it to cross, symbolizing that we were letting it go and giving it to God. One year later (just last month), my friend had her first baby. She was due on Easter day. I just love how God works. He uses those moments of pain and doubt to work miracles of trust in us. Thank you for sharing your story, Emily! What a touching story of God growing your faith through the trial of infertility. I'm just loving these stories on the WFW blog hop. God is so awesome. Praise God for your babies! My cousin, Cori, is also a walking miracle. She was married at 19 and they began trying for a baby right away. They didn't want to go the IVF way, either, hoping and trusting in God. In November, 2012, Josiah was born – fifteen years into their marriage! I get chills even writing it – God's faithfulness astounds me. And just this APRIL 2012, little Ella was born to them. They are blessed and they know it. Way to make me cry this morning, Emily! Just kidding – I loved reading your story, and I'm so blessed to know your family in real life. I love looking at your babies and being reminded of God's faithfulness! I love you and your sweet family!! 🙂 I'm so glad we are on this journey moving forward with y'all! I love stories like this one!! So inspirational. I have a long story about the birth of my son I won't write here, but you can read about it at my blog. 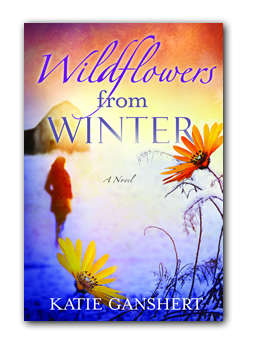 Inspiring article and I LOVED Katie Ganshert's book, Wildflowers from Winter! Exceptional! Oh and I love the new look on your website, Jessica! I LOVED Wildflowers from Winter. Did you hear me? LOVED IT!!! I am shouting now, in Paris, IL, to wherever you are! Katie is a talented writer who knows how to craft a poignant tale. I can't wait for her next novel, and the first one isn't even out yet!!! HA. I heart Emily's story. How good God is. Sometimes He is waiting for us to believe and dig our heels in, then He moves. What a great example of grace abounding! Thanks for the review and the success story, Jessica. A lovely story. How different life is when we trust in the Lord. A beautiful story of faith and trust. There's always a plan–just not always ours. Thanks for sharing. Blessings.